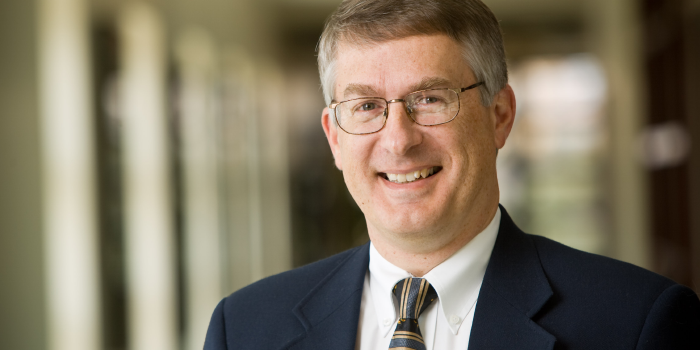 The International Municipal Lawyers Association (IMLA) has presented Professor John Korzen (JD ’91) with an Amicus Service Award for his service to the IMLA Legal Advocacy program. Korzen earned the award for his work in District of Columbia v. Wesby, a U.S. Supreme Court case in which he submitted an amicus brief on behalf of IMLA and in support of Petitioner District of Columbia. In its Amicus Service Award, IMLA seeks to recognize lawyers who have been actively involved in legal advocacy on behalf of local governments and IMLA and who have done exemplary word to protect and advance local government interests. This year’s recipients were recognized on April 20, 2018, in Washington, D.C. The Appellate Advocacy Clinic is a year-long clinic for third-year law students who are interested in appellate practice and took the Appellate Advocacy course in their 2L fall. For more information about the Clinic, contact Professor Korzen.